Fairy Crafts are back at Make Local Habit in Grass Valley. We brought kits and finished fairies to the shop this week. Of course, while in the shop, I find dozens of treasures that I my kids and I want as well. 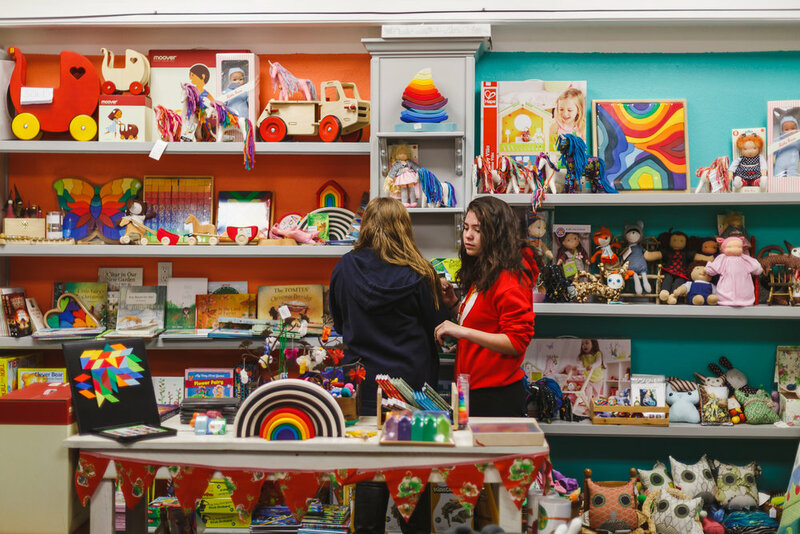 Make Local Habit carries local artists along with natural toys, beautiful books, and creative games. 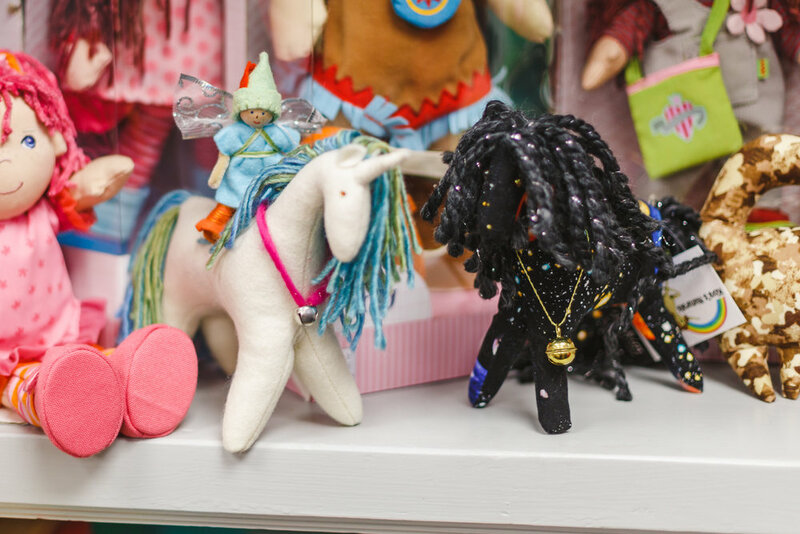 Our fairy is having fun playing with unicorns handmade by Kiya's Naturals Childhood Treasures. At least until he gets to go home with a new friend. I know that we will be going here for holiday shopping. 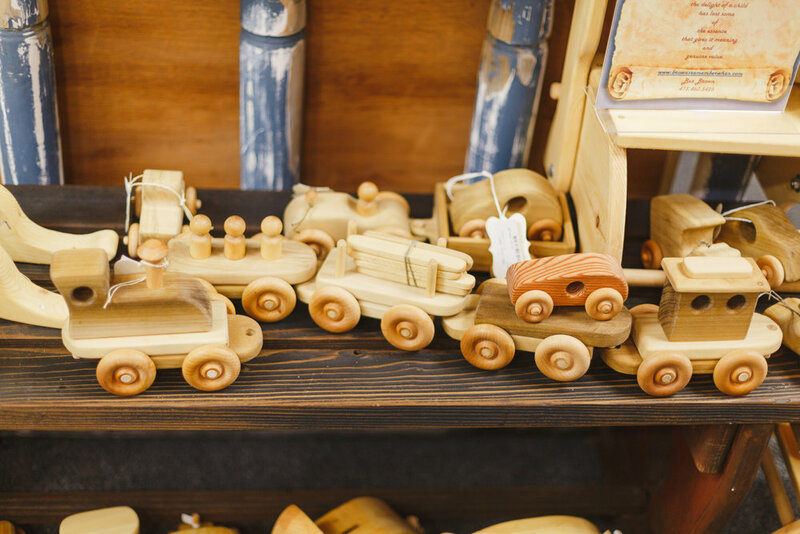 From the carved wood toys to Nevada County stickers, all sorts of treasures are waiting to be found. Asia and I are bringing new things every couple of weeks. If you have a special order, let us know. We're excited to be back on the shelves at this special store! In addition to the other goodies, Kiya sews clothing for children and adults by upcycling quality clothing. Her styes are eclectic and fun. Not all of the toys featured here are Fairy Crafts- I love the little soft star babies, knitting kits, and pegs for birthday rings. We are constantly inspired by new ideas. 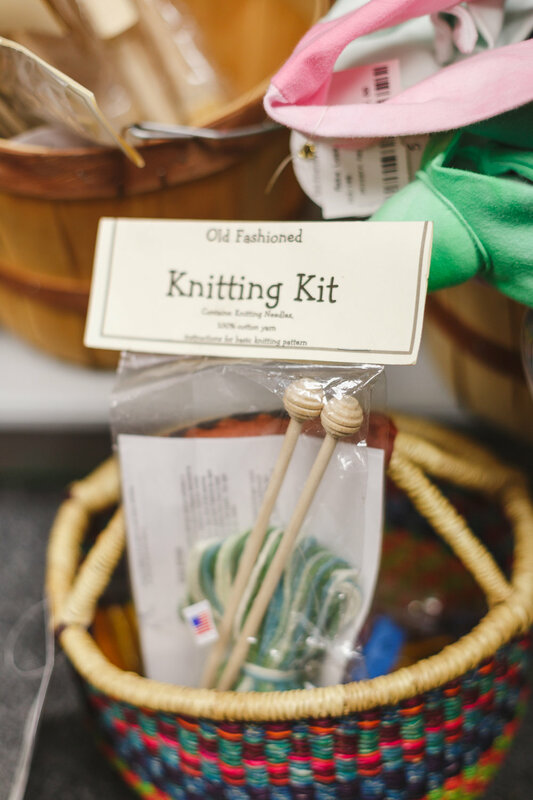 The little knitting kit is a brilliant way to inspire a young knitter. We look enjoy being part of this a community of local artisans!